"You can roll up to three times, keep aside any dice you want". That's it! 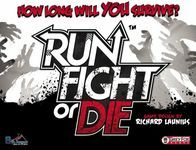 This game inspired me. Simple rules, variety of objects! Best use I have seen. "Come on skulls, daddy needs a new pair of shoes! Dammit! Tentacles again?" 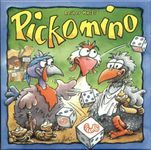 A fun game to play with kids or in a math class to teach combinatorics and probability. 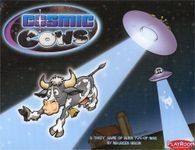 It uses some of the Yahtzee combinations as mechanisms for moving cows toward (or away) from the alien tractor beam. Yes, OK, it's a fair cop. This is, in fact, one of my games. But, hey, it belongs here: it has the old familiar roll the dice, keep some and roll again mechanic. 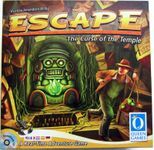 In this case the game is one of building and traversing a maze, and the dice show the actions that are allowed (discover a tile, move a tile, rotate a tile, move a man along a path, turn the lights off on a tile, etc). 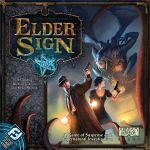 As a game in my Wend family it uses tiles that are topologically equivalent to those in Tsuro, which always struck me as well produced with nice bits, but a shame about the game. ... so here's one that is not mine, to compensate. 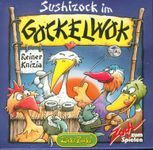 From the good doctor, this one is about collecting nice cuts of fish for sushi, whilst getting enough, but cheap, bones to match them. 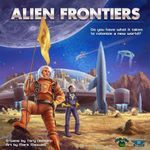 Fits in the nice filler category: games do not take long, so it is ideal (as are dice free games like No Thanks!) to play whilst waiting for someone to turn up, when yo are not quite sure how long they will be. Similar to Skyline, you're not limited to 3 rolls, but you must 'use' at least one die after each roll. 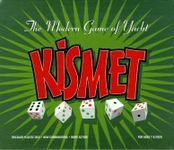 I haven't played this one in awhile but with the acquirable cards to add more dice and manipulate pips, this offers some really fun puzzle-like strategy. The only notable drawback to this one is no player interaction other than getting certain cards before everyone else. This comparison started a brush war in another thread so buckle in! 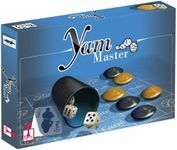 In Escape you do a lot of dice rolling and, like Yahtzee, you are able to keep some dice and re-roll others in search of certain combinations. You are doing this in a Castle Ravenloft setting where you are exploring tiles and getting new challenges (i.e. dice combos to roll) along the way. Where Yahtzee gives you 3 rolls in Escape you can roll as much as you want within a given time limit. This one is "Yahtzee with a little bit extra". The colors make for additional scoring categories, such as flushes; with more scoring possibilities and more turns, there is also more strategy while playing. 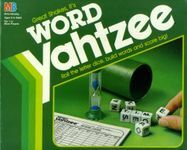 Yahtzee and a war theme? Believe it or not, it works and it works well. During the 3 rolls, players must keep bad Dragon Strikes, but also save up Defense, Steal from other players, Take Treasure, Attack, or Run Away. Cards can be used to affect rolls. Hits on the dragon, gold, & treasure help with VP. But depending on how the game ends (Slain dragon, running away, dead hero), extra points are given out (most/2nd most hits on dragon, escaping/2nd closest to exit, negative points for being dead or severely wounded). 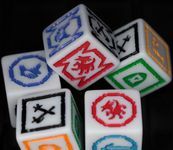 In Minos you roll custom dice to determine the actions you can take on your turn: Collect Income, Move units, Construct a building, Enhance the value of another die, Gain a combat reroll 'ring', and a Wild that can be used as any other result except Enhancement. Like Yahtzee you may roll the Action dice up to 3 times, keeping any you wish. 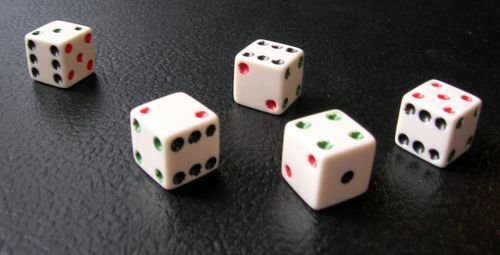 The dice are separately rolled for combat, but unlike Yahtzee you can reroll as many times as you can afford by paying 1 combat reroll 'ring' each time. Yahtzee with a dice tower. Also made in a travel edition in 2009. Three rolls keep some re-roll some. 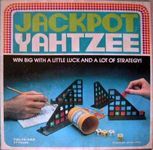 Yahtzee with theme, variable powers, and fun... unlike yahtzee.